Renault is avoiding setting fixed targets for the 2019 F1 season but expects to continue its progression and close the gap to the top three. Renault Formula 1 team boss Cyril Abiteboul insists his outfit is not getting fixated on setting specific targets for 2019, but is instead aiming to continue its “trajectory of progression”. The French manufacturer secured its best result since returning to F1 as a full works squad by claiming fourth place in the 2018 constructors’ championship, behind only Mercedes, Ferrari and Red Bull. With F1’s top three teams expected to retain their performance advantage over the rest of the field this season despite the introduction of a revised set of aerodynamic regulations, Renault remains committed to its long-term plan of returning to winning ways. 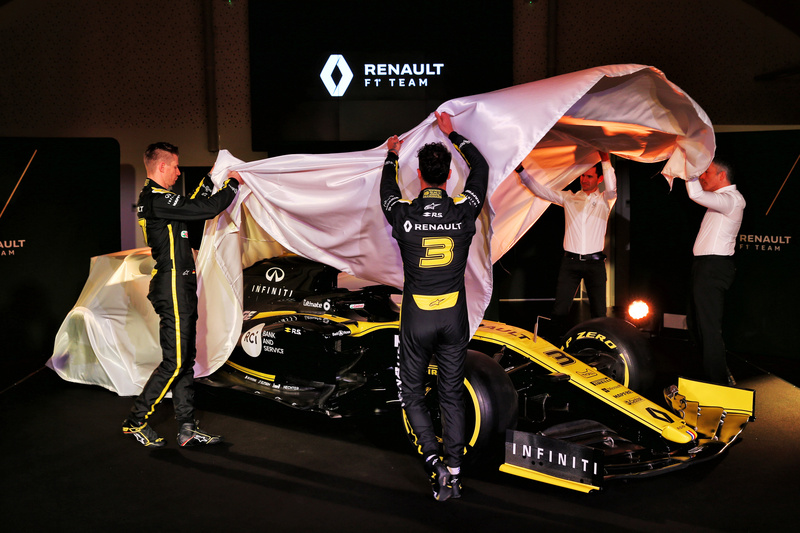 "We go into this season aiming to keep this strong and measured momentum,” Abiteboul said at the unveiling of Renault’s 2019 car, the R.S.19, at its Enstone headquarters. “We do not target x or y position or a number of points: what I want to see is that the team continues its trajectory of progression towards the top teams. Renault returned to F1 as a fully-fledged factory entry in 2016 having taken over from the Lotus team. It has enjoyed year-on-year improvements since, turning ninth place in the first year of its renewed project into sixth in 2017 and then fourth in 2018. “Launching all these projects while participating in the championship was an incredible challenge, as was getting the major points finished,” Abiteboul added. “The final commissioning of the investments was a tremendous achievement and I’m impressed by how everyone has taken to the task. Renault has signed Daniel Ricciardo from Red Bull to partner team regular Nico Hulkenberg and lead its assault in 2019, with Abiteboul expecting the new-look driver line-up to prove the whole team with a motivational boost heading into the new campaign. “The added momentum of the Daniel-Nico partnership brings confidence to the team this season,” he explained. "I believe we have one of the strongest - if not the strongest - driver line-up on the grid. “Daniel brings proven race winning experience and knowledge of a top team, while Nico is hungry. He’s hugely underrated - he’s quick, determined and a team motivator. Individually they are very strong and I feel the two will complement each other extremely perfectly.